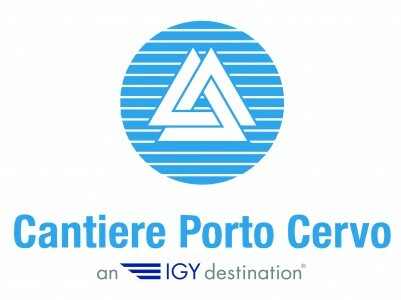 This Boatyard managed by IGY Marinas under Porto Cervo offers highly skilled expert services - hauling vessels up to 35 m LOA. A large well run IGY marina on the Costa Smerlada, Porto Cervo marina offers outstanding facilities & service, with 70 large berths for superyachts. This is the refit and repair department of Perini Navi Group. With a giant 820 Ton Travel Lift, huge hangars and expansive docks, the facilities are well able to handle refit jobs or repairs be they on Perini or Picchiotti yachts or those built at other shipyards. Useful in an emergency and offering technical assistance and routine maintenance in 260,000m2 of shipyard, with a 300 ton Travel Lift, a 2,500ton ship lift and motorised modular trolleys. There are several docks, including one 2000m long. Cantiere Viareggio focusses on interior refits, and pride themselves on giving new functionality and aesthetic value to the yachts they work on with traditional craftsmanship. They have over 50 years of experience as a luxury interior manufacturer, and come well recommended for their expert refit services. Amico Loano Shipyard is a fully equipped and organised in order to perform repair & refit works on motor and sailing yachts from 6 to 45m LOA, ensuring a high standard of professionalism and cost optimisation. Catering for yachts up to 4,000 tonne displacement and 100m LOA, Tankoa have a fully private dry dock and two fabulous Superyacht hangers where they are able to do new build or refit. Their prestigious crew areas boast a relaxation room, private offices, meeting rooms and storage areas solely for owner and crew use.